Looks can deceive. Case in point, the 2016 Jaguar XF that appears to be a mild facelift but is in fact an almost entirely reworked car. 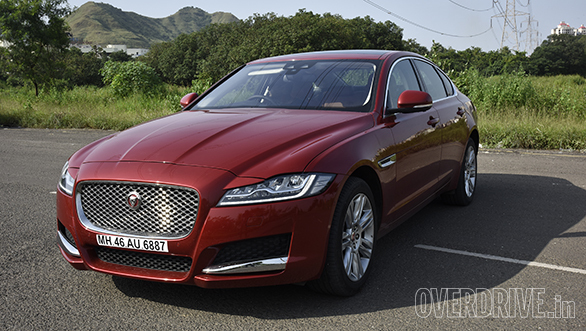 Collecting the car from JLR's swanky Worli showroom, I struggled to tell the XE, XF and XJ apart from the front. The differences are subtle and only a keenly interested eye will be able to distinguish which is which. This isn't just a Jaguar problem; it's a condition that has become prevalent throughout the premium luxury market. Luxury car shopping has become like buying clothes  you simply end up choosing the same design in three or four different sizes. It's a trend that will be around for a while, so you best make peace with it. Peering closely at the mid-sized Jaguar in the showroom, the changes start to become apparent. 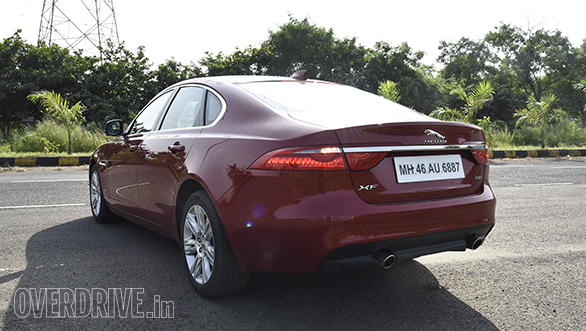 The XF gets new headlamps, restyled bumpers, a new bonnet and updated tail lamps. The rear lights are very similar to the XE but have a different kink at the top and feature two F-Type style LED runners, whereas the XE gets just one. We drove both the petrol and diesel variants  the red petrol being in top Portfolio trim while the white diesel was a base Pure model. The Pure gets smaller 17-inch wheels and black treatment on the grille against the chrome finish on the Portfolio. From the outside, both cars look gorgeous, and it's simply a matter of whether you prefer classy chrome or sporty black. The Portfolio runs adaptive LED headlamps which are optional on the middle-spec Prestige model while the Pure gets simpler LED projector lamps. It's probably the small number of Jags on the road, but the XF turns heads everywhere and attracts far more attention than any of the Germans could hope to. The interior gets the same treatment and sees a number of small changes. The lovely yacht-inspired wrap around wood trim above the dashboard remains. 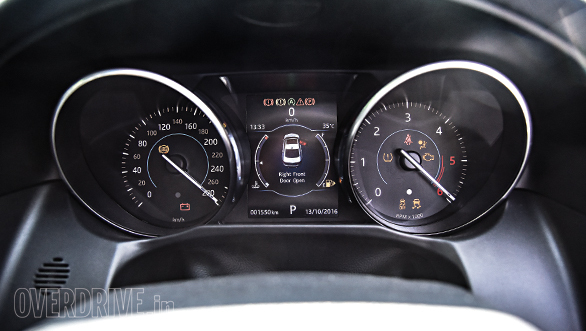 The old XF party tricks continue as well, like the circular gear knob that revolves out of the centre console on start-up and the side air vents that rotate open. Nothing we haven't seen before but still quite cool. The Portfolio trim gets a lovely new 10.2-inch capacitive multi-touch display with rich resolution. The other two use a smaller 8-inch touchscreen without multi-touch that looks disappointingly low res in comparison. 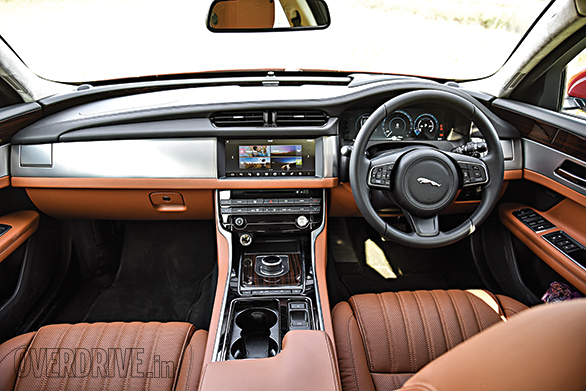 All models get Jaguar's new Incontrol interface that is logical and easy to use, but the Portfolio trim gets a more advanced version with better navigation capabilities. The cabin in the top trim is plush but there are a few buttons, especially the ones on the steering wheel that feel heavy and not quite as rich as some rivals. All three variants get different grades of leather and wood trim in the cabin. The Portfolio's brown Windsor leather on the seats and dashboard is sumptuous and beautifully contrasts the Ebony veneer on the dash. 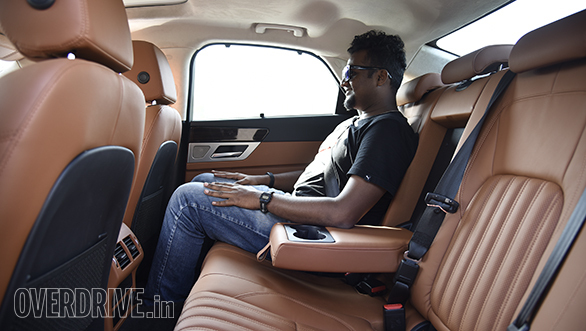 In comparison, the black 'Luxtec' leather seats and black veneer on the base model neither look nor feel special. There's a new HUD display in the top model that has a big and bright readout. The issue is that HUD unit mounted behind the instrument cluster is large and positioned right in front of the wrap-around wood trim. 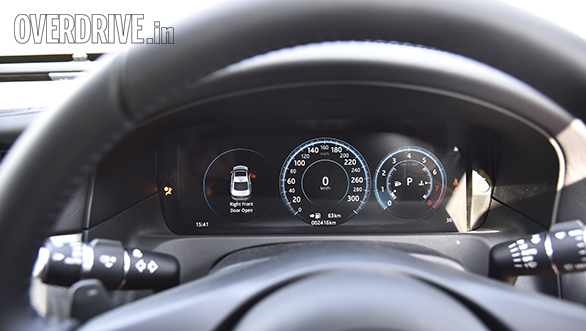 Speaking of instrument clusters, the Portfolio has a fully digital unit that allows you to blow up a navigation map instead of traditional dials. The concept is similar to Audi's excellent Virtual Cockpit but isn't quite as intuitive or customisable. Finally, the Portfolio gets the spectacular 825W surround sound system straight from the range-topping XJ and Range Rovers while the 80W system on the Pure sounds average. In fact, the Pure loses out on a lot of features  there's no keyless entry, sunroof or seat bolster adjust. Where the Portfolio has a surround camera system and an automatic parking assist feature; the Pure gets no camera at all, just sensors. In such a big and expensive car, this a serious issue. 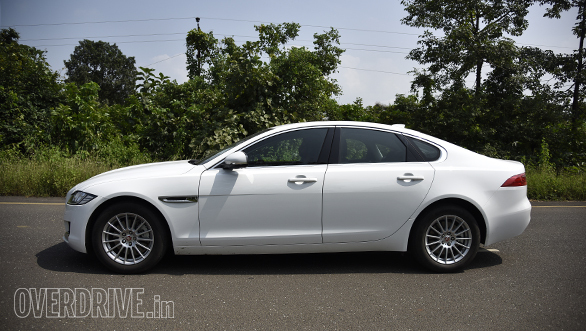 At 5.1m, the XF is a very large car but is in fact shorter than its predecessor by 7mm. The good news is that Jaguar has increased the wheelbase by 51mm which liberates rear knee room, a slight issue with the old car. 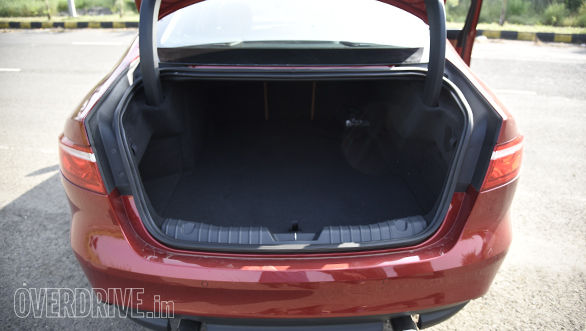 Rear space may still not be class leading but it is now comfortable for a six-foot passenger with a similarly tall driver up front. 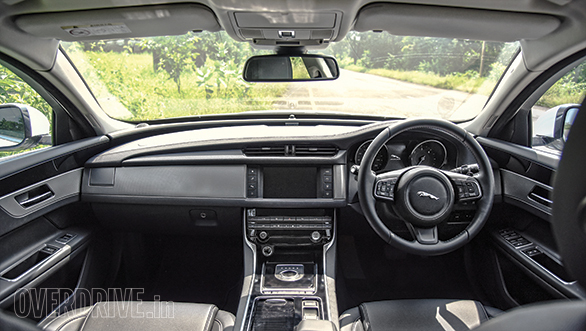 Where the XE has restricted headroom, the XF feels more spacious and airy. Unfortunately, three-zone climate control is not on offer in any of the models, and rear passengers can only control air flow, not temperature. 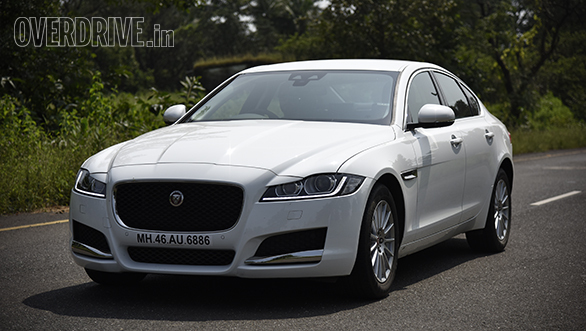 The XF gets two engines in India and marks the domestic debut of the all-new Ingenium diesel. 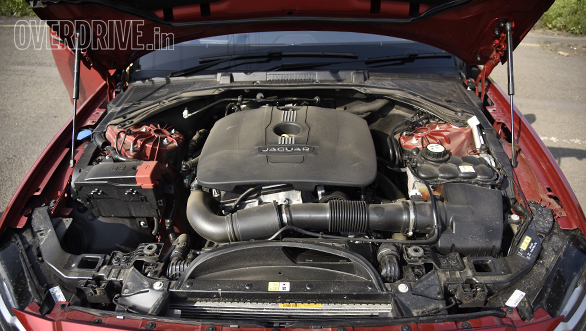 This engine is Jaguar's first 2.0-litre diesel motor and is of huge significance to the company, as it will eventually feature in nearly the entire line-up. With 180PS and 430Nm, the Ingenium meets the competition head-on, a little down on power to the 190PS BMW engine but with 30Nm more torque. The motor is quite refined without any clatter but does have a slightly vocal note. In terms of feel, it once again slots in nicely into the segment - not quite as responsive as a BMW motor and lacking the same top-end punch but definitely more refined. Whether it is the segment best in terms of refinement can only be confirmed when we drive it back to back with an Audi. We recorded an 8.7s 0-100kmph run which is great for a car of this size. In-gear acceleration is strong and the 8-speed automatic gearbox is smooth and responsive. The gearbox occasionally responds slowly to requests for downshifts, but slotting in Sport mode makes it enjoyably reactive. Engine, gearbox and steering response can be adjusted by selecting from Dynamic, Standard, Eco or Rain/Ice/Snow modes. Surprisingly, the Ingenium engine isn't as economical as we expected. We managed 16.6kmpl on the highway and after three runs, the best we could get in the city was 9.2kmpl. We've approached Jaguar to see if there was a problem with this car, in particular. We also ran our tests on the petrol XF. The 2.0-litre turbo petrol is in the same 240PS/340Nm state of tune from the top-end XE, and performance is similarly exhilarating  0-100kmph is just 0.3s down on the XE at 7.5s. Coupled to the same responsive 8-speed auto, this is definitely the most exciting petrol engine in the segment. 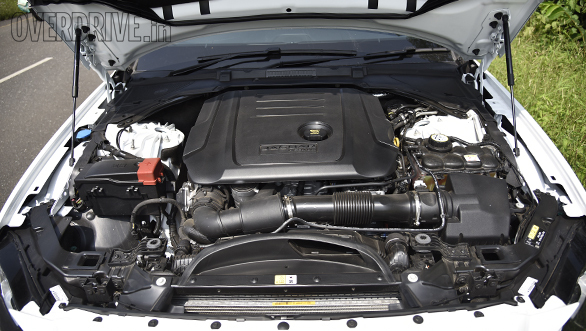 The engine is pleasantly refined and decently efficient, returning 8.3kmpl in the city and 16.1kmpl on the highway. The 2016 XF gets a brand-new suspension set-up with F-Type inspired double wishbone front suspension and an integral link system at the rear similar to the XE. Jaguar's use of words like 'sporty' and 'extended breadth of dynamic capability' are both exciting and worrying in the Indian context of things. 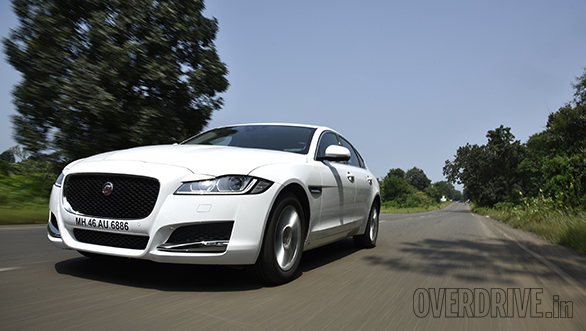 The good news is that the XF has a similar firm but supple feel that we enjoyed in the XE. The car glides over smooth roads and soaks up small undulations but tends to thud over sharper irregularities. That said, the Pure and Prestige run 17-inch rims, and ride quality was noticeably better on the low-spec diesel. 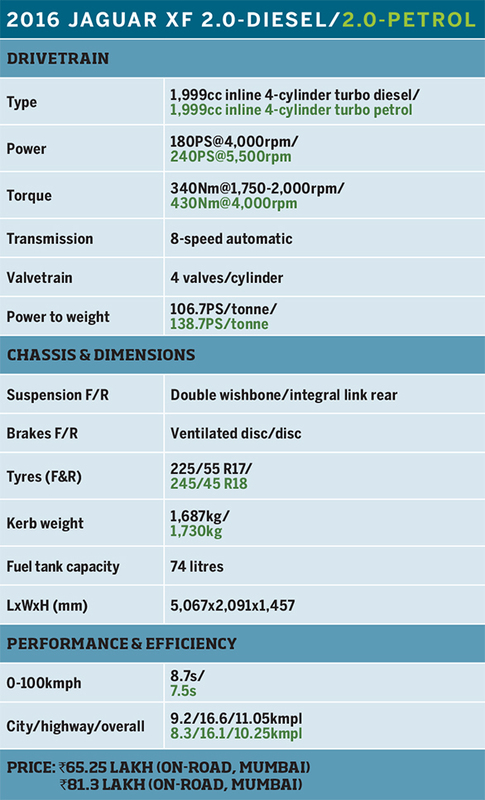 But even on the 18-inch shod petrol, the suspension simply seems to generate more noise than actual harshness. That said, the thudding sounds over bumps do tend to generate an impression of harsher ride. The XF more than makes up for it on a fast and winding road where it feels beautifully balanced with sharp turn in and plenty of grip. Jaguar claims to have shed up to 190kg over the previous XF via the extensive use of aluminium in the chassis. The result is a car that simply doesn't feel excessively big or cumbersome from behind the wheel. The electronically assisted steering is decently weighted, and despite getting slightly light at very high speeds it is quite a likeable unit. 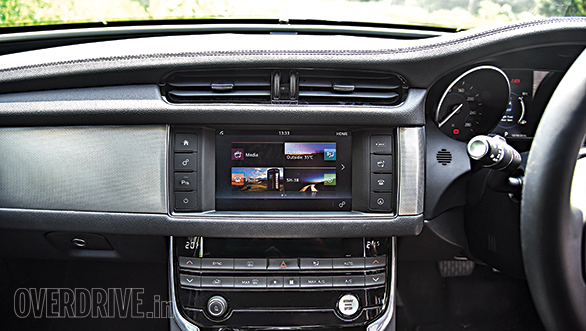 Best driver's petrol car in the segment? Quite possibly! 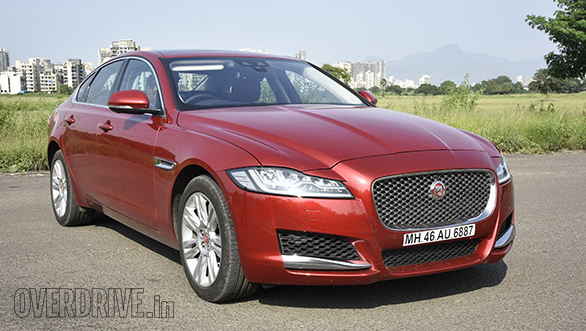 We'd have liked to see more visual changes, but the fact remains that the 2016 XF is a significantly improved car and could be a serious player in this segment. I say could be because, as of now, the XF is a CBU which has resulted in a seriously high price tag. The base diesel Pure costs Rs 65.2 lakh (all prices on-road, Mumbai), and it certainly doesn't feel premium enough to justify the price tag. The top-end Portfolio models on the other hand are beautifully kitted out, but both petrol and diesel costs a dizzying Rs 81 lakh. For some perspective, a fully loaded Audi A6 Matrix TDI costs just Rs 1 lakh more than the base XF. If it's a driver's car you're looking for, there's also the Rs 78 lakh BMW 530d M Sport to consider. 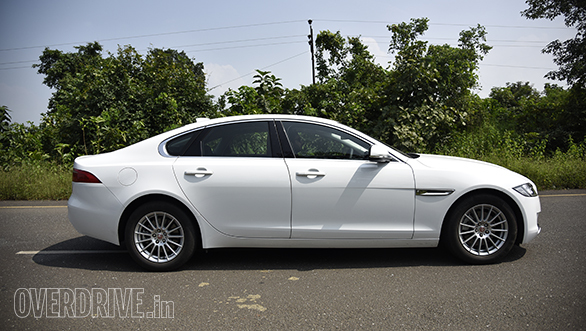 With a 258PS/560Nm 6-cylinder diesel, it will wipe the floor with the 4-cylinder Jags in performance stakes while still offering decent running costs. 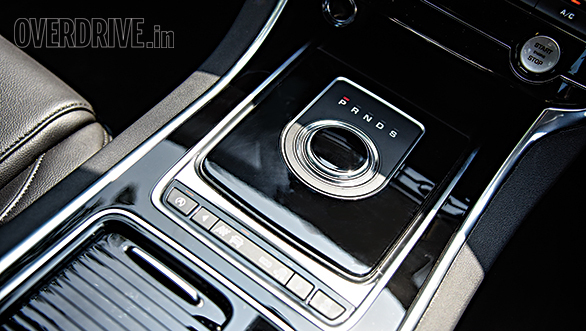 As it stands, the Rs 74 lakh Prestige trims appear to make the best sense on paper, offering most features while skipping on extra plush materials and top-end entertainment systems. But we'd suggest waiting for the XF to enter CKD production which will bring the prices down to more realistic levels.